Rabbit Wine-Chilling Crystal Carafe Black (P/N 6520). Simply fill the metal core with ice water, and the Rabbit Wine-Chilling Carafe will keep your wine chilled—naturally! No plastic ice chamber or freezable chemicals. It's a more effective chilling carafe because the stainless* ice chamber is a highly efficient cold-transfer material, far superior to glass or plastic. White wine or rose from the fridge loses its chill and taste appeal quickly when left unchilled. 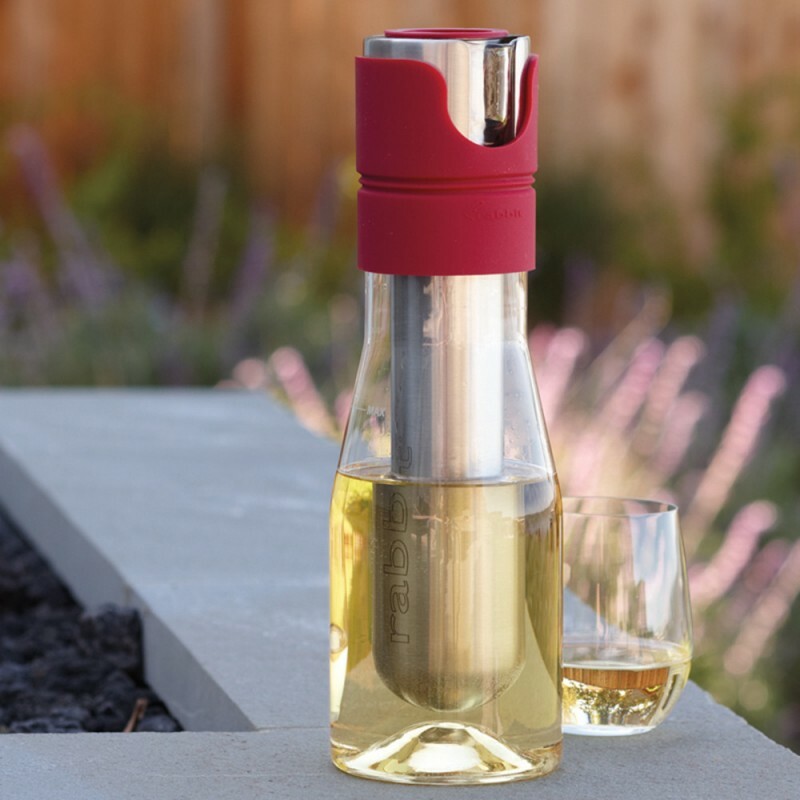 At 80 degrees, the wine will seem too warm in 15 minutes or less. With the Rabbit Wine-Chilling Carafe, you can enjoy a chilled bottle of wine at your leisure —the chill will last 90 minutes or more. The carafe holds a full 750ml bottle. And the beautiful design brings a touch of elegance to serving white wine indoors or out. 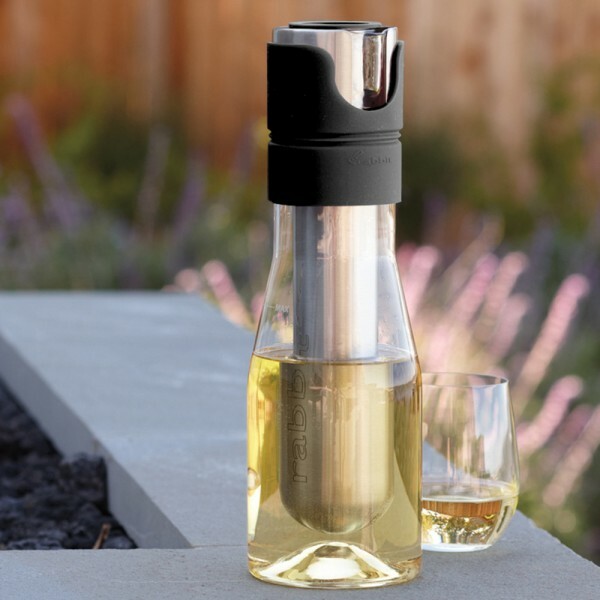 With the new Rabbit Wine-Chilling Crystal Carafe, you can take your time enjoying your chilled bottle of wine.